Kathy Matheson of the Associated Press writes about the effort to reconstruct a list of the books that were in Benjamin Franklin's personal library. Franklin's grandson, William Temple Franklin, sold the 4,276 volumes for cash. Scholars lament that no catalog of the book titles has survived. Franklin's collection was one of the largest private libraries in America at the time and took up the entire second floor of an addition he built on his Philadelphia home, Green said. 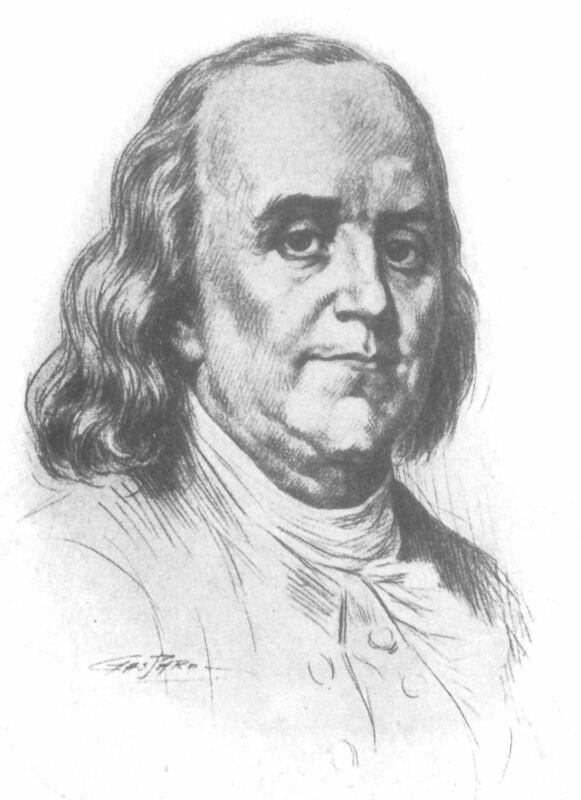 When Franklin died in 1790, the books were scattered among a number of institutions and relatives. Most were bequeathed to Temple Franklin. The grandson, though, had no interest in the library and "looked on it as an asset to exploit," Green said. By 1794, Temple Franklin had sold his volumes to a man who ended up going bankrupt four years later. The books then ended up in the hands of bookseller Nicholas Dufief, who sold them off between 1801 and 1803 to buyers including then-President Thomas Jefferson. A deal fell through for the Library of Congress to acquire the remainder of the collection. Though Dufief had published catalogs of the titles, those lists were lost as well. Researchers are slowly reconstructing a picture of the collection thanks to a penciled shelfmark. Read the whole fascinating article! How neat, Camille -- thanks for the link.